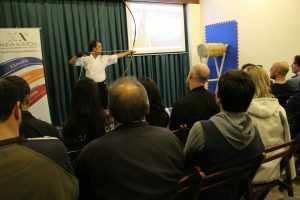 New Acropolis invited the Bodhidarma Institute of Martial Arts to give a talk on the Shaolin warriors of China, the Hwarang of Korea and the Samurai of Japan. 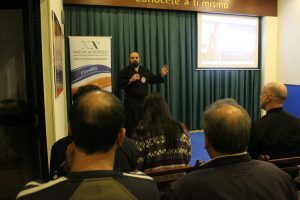 In addition to highlighting the important role philosophy played in the worldview of these warriors, the speaker explained the path of individual transformation that is achieved through the philosophical deepening in the practice of the different disciplines. Simple demonstrations of Tae Kwon-do, Tai-Chi, Iai-Do and Kyu-do were performed.